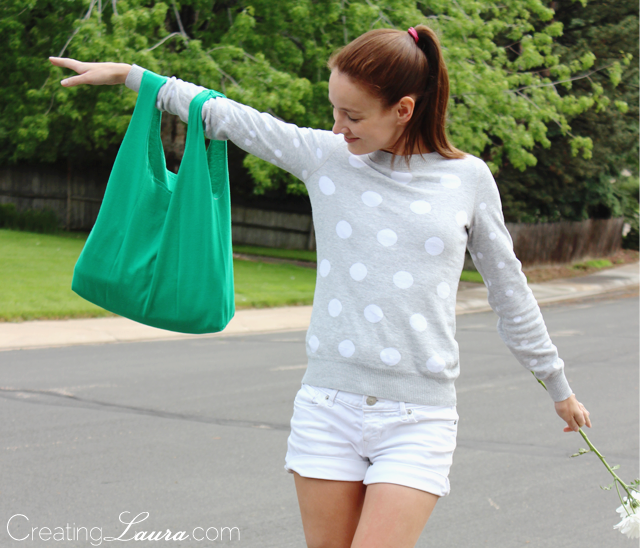 Making a tote bag out of a t-shirt isn't a new trick. In fact, it's a pretty old one that's been done in various iterations by the likes of Martha Stewart, Apartment Therapy, Honestly WTF, and many others. So why am I doing it? Because it's the perfect project to ease me into using my new sewing machine. 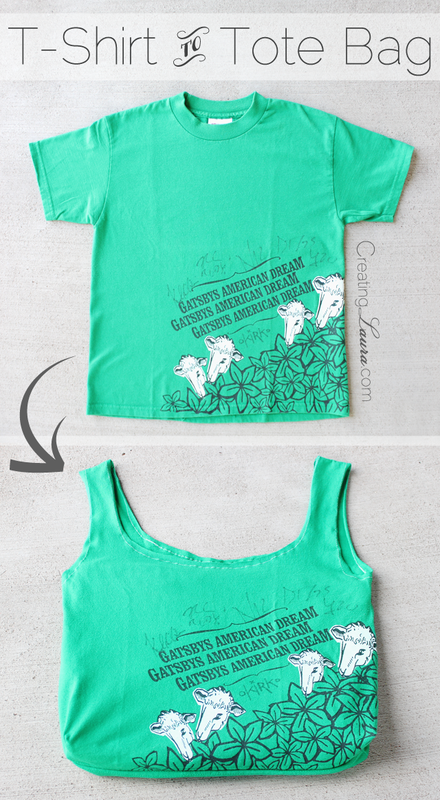 The version I made is quick and requires only basic sewing skills. It's also no secret that I love cutting up my old t-shirts. This particular t-shirt was signed by my friend's old band and I really, really like it, but it's too short for my torso so it has just been sitting in my closet for ages. I'm glad it's getting a new lease on life as a tote bag! 1. 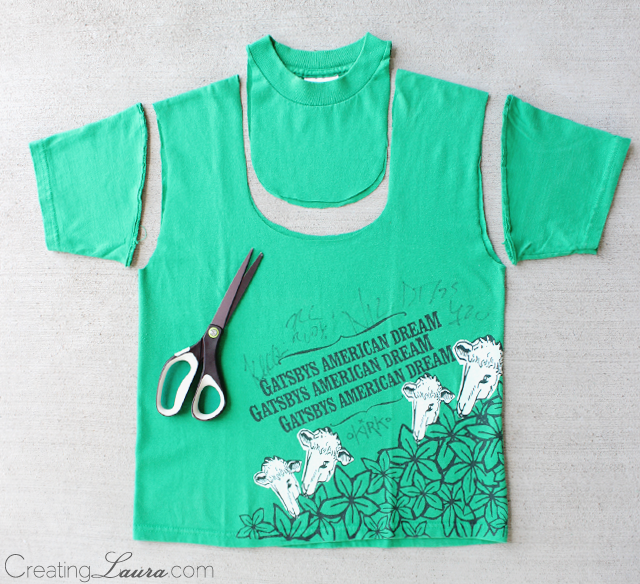 Start by cutting off the sleeves and a deep semi-circle at the neckline. 2. 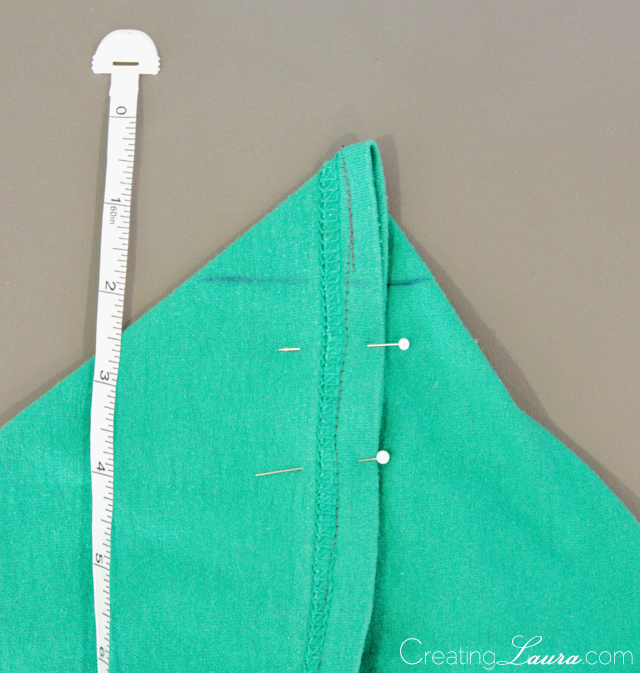 Turn the shirt inside out and sew a straight line across the bottom, about a quarter of an inch from the edge. The t-shirt is now technically a bag! 3. This is when I sewed around all the rough edges at the top of the bag with thread in a contrasting color (white) for purely decorative reasons. The beauty of t-shirts is that they don't fray, so it's possible to cut raw edges, leave them alone, and nothing bad will happen. I think the extra stitching is worth the extra time, though, because it adds a little visual interest. 4. With the bag still inside out, I created gussets on either side of the bottom of the bag. I did this using the skills I learned in my Intro to Sewing class at Fabric Bliss. Don't know what a gusset is? 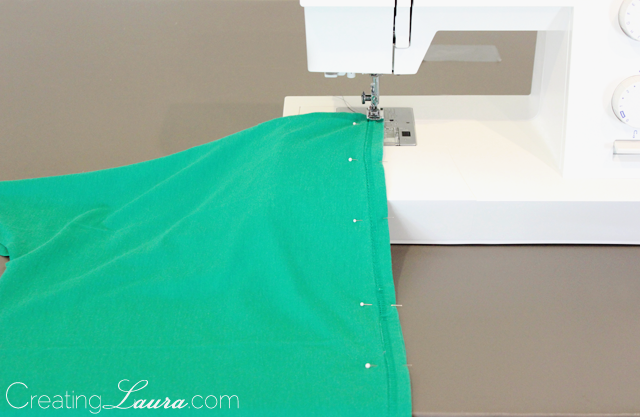 It's a little perpendicular seam that that you can add to both sides of the bottom of a bag. The gussets give the bag a base so it's shaped more like a basket than an envelope. 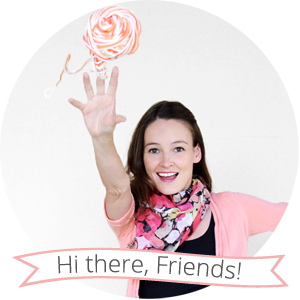 There's a gusset tutorial over at Sew Daily if you're interested in learning how to do it. Want to skip this step? That's totally fine too. Your bag will still be great. Whether gusseted or ungusseted, that's the end of that! I'm glad I chose such an easy project to reacquaint myself with sewing and to get used to my new machine. It was just the confidence booster I needed. I have another too-short, sentimental t-shirt in my closet and I think I'll make a tote bag out of that one too. In this day and age, a girl can never have too many totes. 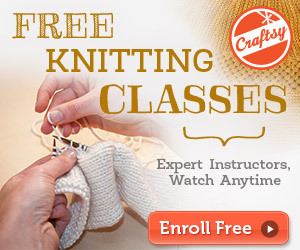 Have you been sewing lately? If so, what have you been making? Fabulous idea! I have a laundry basket full of tees I don't use anymore and now that Austin has banned plastic bags city wide, these would be perfect for toting my groceries in! Yeah! We're still allowed to use plastic bags in Denver, but we always try to use reusable totes anyway. I don't think it will be long before the plastic ones are banned here as well.